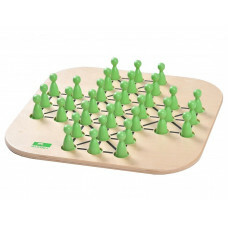 The game is a development of the English game Hoppity, invented in England in the 1850s. 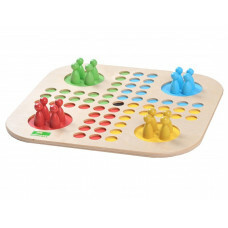 Other jump games with jumping pieces are fox and geese, china chess, checkers, mills, solitaire, reversi, and ludo. 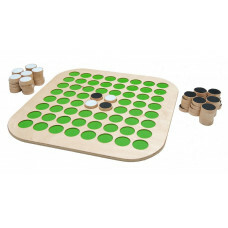 Here you can see our choice of jumping games, we have chosen games with a focus on entertainment value, but also those who are interesting and instructive, such as the classic game everyone loves, Ludo. 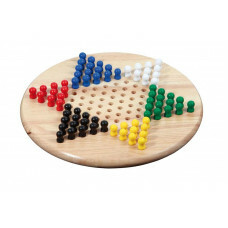 Chinese Checkers for Two, AN 6492 / Chinese checkers is a board game that involves moving colored game pieces over a gameboard full of holes. 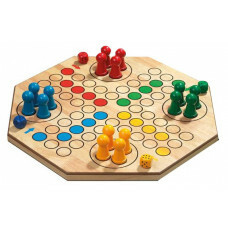 The game can be p..
Chinese Checkers 2-6 players, AN 3113 / Chinese checkers is a board game that involves moving colored game pieces over a gameboard full of holes. 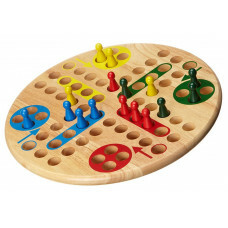 The game can ..
Chinese Checkers 2-6 players, AN 3300 / Suitable for recreation centers. 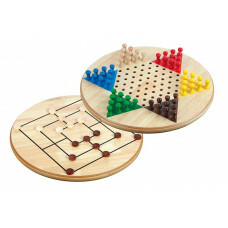 Chinese checkers is a board game that involves moving colored game pieces over a gameb..
Double-sided disc of hevea-wood, AN 3304 / Two games in one wooden disc, Chinese checkers with 60 playing pieces in 6 colors and Mills (Nine Men’s Morris) with..
Two in One, Draughts + Chess, AN 2803 / Double-sided printed game board made of pinewood. 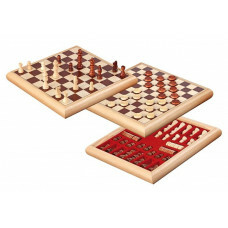 Chess board field size 35 mm (8x8), Draughts board field size 28 mm (..
Two in One, Draughts + Chess, AN 2802 / Double-sided printed game board made of MDF. 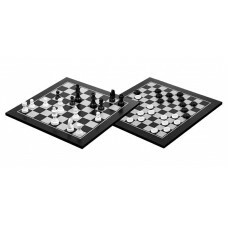 Chess board field size 40 mm (8x8), Draughts board field size 32 mm (10x10..
Draughts Cassette design, AN 6532 / Magnetic printed game board in black and white. 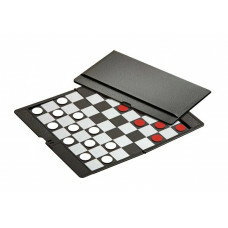 Magnetic checkers made of gum in red and white. 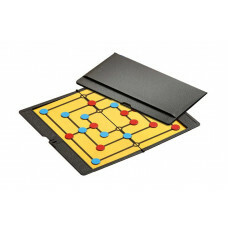 See "Specification..
Draughts Foldable Game, AN 3144 / Folding printed game board made of MDF. 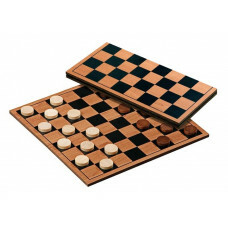 Checkers made of schima-wood, natural and brown stained. 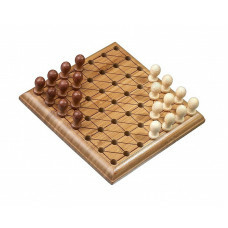 See "Specification"..
Nine Men's Morris / Mills, AN 3135 / Classic strategy game in cassette design made of poplar, maple and walnut. 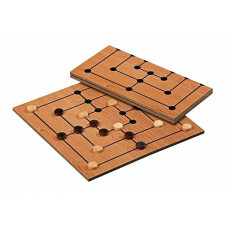 Playing pieces made of schima-wood, natural and..
Nine Men's Morris / Mills, AN 3138 / Practical game made of MDF, printed in black and brown. 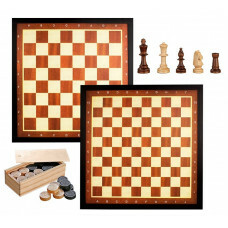 Playing pieces made of schima-wood, natural and brown stained, dia..
Nine Men's Morris / Mills, AN 6533 / Travel game made of vinyl, printed playing field. 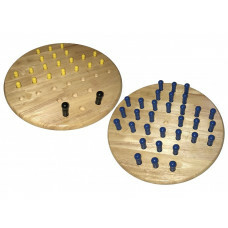 Magnetic playing pieces made of gum in red and blue. 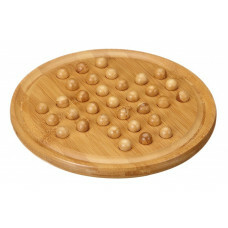 See "Specificati..
Solitaire Wooden Travel, AN 3155 / Solitaire game is a board game for one player (It was discovered by a prisoner in Brazil) but it can also be played by two p..
Solitaire medium of bamboo, AN 3159 / Solitaire game is a board game for one player (It was discovered by a prisoner in Brazil) but it can also be played by tw..
Solitaire Dice Game Exclusive, AN 21003 / Made of birch plywood with lowered holes for the pieces. Very high quality for multi-generation gaming. 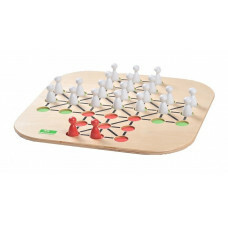 Playing piece..
Fox & Geese Exclusive, AN 21005 / Made of birch plywood with lowered holes for the pieces. Very high quality for multi-generation gaming. 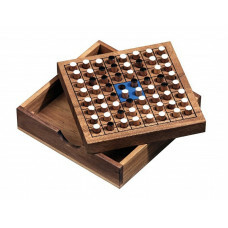 Playing pieces fo..
Reversi in wooden box, AN 6331 / Classic game in small size to traveling. 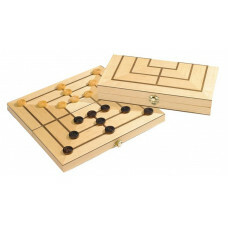 Made om samena-wood with playing pieces double-sided stained. 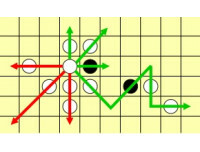 Othello is a developmen.. 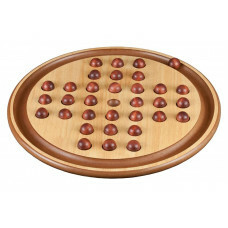 Wooden Reversi, AN 21013 / Large Reversi made in birch plywood. It is stable, durable and beautiful and will offer a lot of joy wherever it ends up. 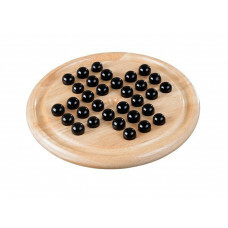 Othello is..
Ludo / Dice Game Standard, AN 3299 / Medium dice game/ludo, suitable to bring along. Playing field made of plywood, pieces and dice made of birch. 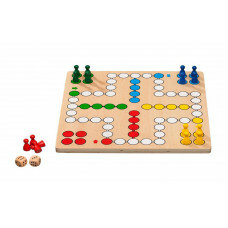 Thanks to th..
Ludo Dice Game, AN 3303 / Ludo is a strategy game for 2-4 players, in which the players race their four tokens from start to finish according to rolls of a sin..
Ludo Dice Game Jumbo, AN 3305 / Ludo is a strategy game for 2-4 players, in which the players race their four tokens from start to finish according to rolls of..
Ludo Dice Game Exclusive, AN 21001 / Made of birch plywood with lowered holes for the pieces. Very high quality for multi-generation gaming. 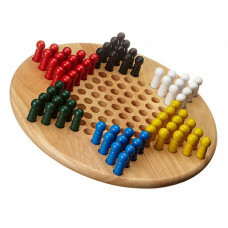 Playing pieces in ..